Unable to go farther afield, I ran one trap in the garden on an unusually mild night, although it got a little breezy later into the night with an odd shower thrown in. Minimum temperature was 11.1 around 2am. 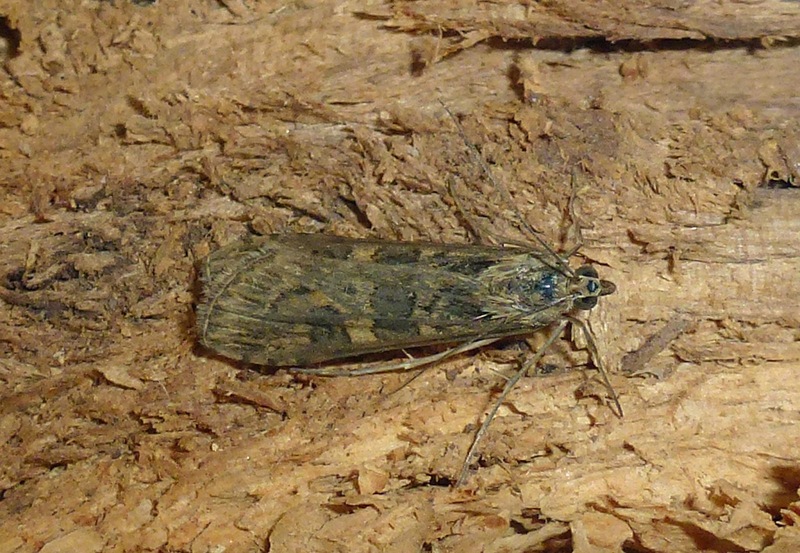 20 species recorded, of which 4 were micro-moths. 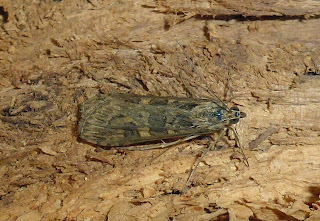 Most surprising was a Rush Veneer Nomophila noctuella. Phyl, is this the earliest record for Herefordshire? I can't find any Herefordshire record before 13th May.